The bike that jump started suspension! 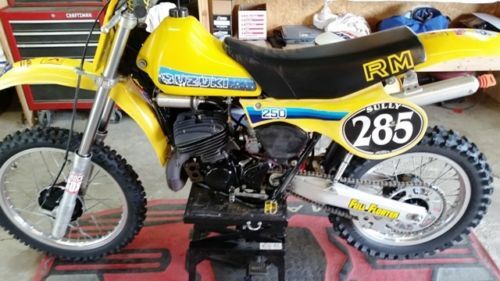 This bike may very well be a RPM Racing Team bike, see photos. I bought it out of Ohio where RPM was located. RPM mods appear to be case matching, polishing, porting, turbo crank, crank bearing mod. This thing is a rocket ship! The bike has fresh seals, bearings, top end, PVL, RM465 beefer forks (fresh springs/service) and triple clamps, New 38 Flat Slide Mik, Rear Shock Rebuilt…. Many more freshen up details..